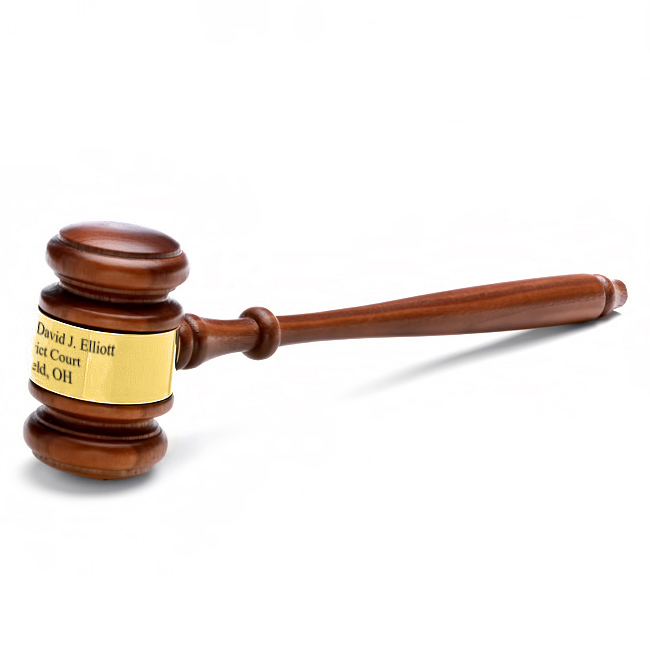 FEATURES/SPECS This personalized oak finish walnut wood gavel is the ideal gift for a judge, or to acknowledge someone in a position of authority. 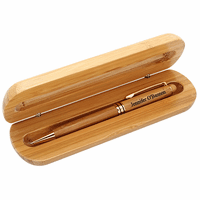 A polished brass band wraps around the head of the gavel, and we will engrave this with a personal inscription at no cost. This personalized walnut gavel measures 10 1/2 inches long, and 3 1/8 by 2 3/4 inches across. 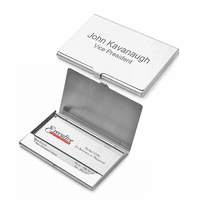 It comes packaged in a gift box and will be a cherished keepsake for your favorite legal professional. Dimensions: 10 1/2" x 3 1/8" x 2 3/4"
What size font is on the picture? How many letters fit on engraving, approximately? You can fit about 3 lines, up to 50 characters per line. If you enter your text, choose a font type and font size, you'll be able to preview what your text will look like by pressing the Preview Personalization button. Then you can go back and resize the text and change the font if you'd like. Does this gavel come with a matching sound board? Will I see a proof before it's engraved? You'll need to check the "Personalize" box right above the Add to Cart button on the item page before adding it to your shopping cart. Below where you enter the engraving press the Preview Personalization button. You'll be able to see a rough proof of your text in the font and size you've picked. what is the length of the gavel 10, 12 inch ? The gavel is 10.5 inches long. For the engraving can it be in Korean? No, sorry, we can only engrave in English letters and characters. Is the gift box also a nice carrying case? This personalized gavel comes in white cardboard gift box. 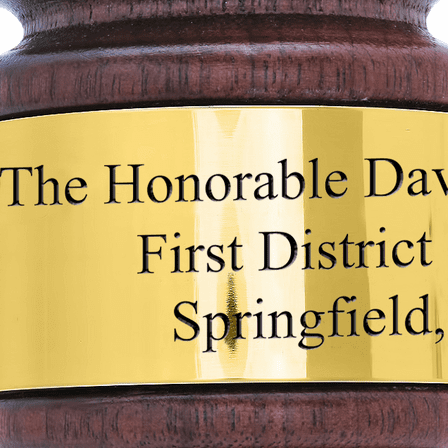 Can you engrave a logo on the gavel plate if it is a small image and I include it digitally? Does the gavel come with a rubber end so its not so loud when my customer bangs it on his desk? No, sorry, it only has the wood end. A lovely wood gavel, a bit formal in appearance and nicely finished. The printed personalization was also nicely done. My disappointment was that, on closer inspection, the personalized �€œwrap�€ was a poly material rather than metal. As a result, it seemed cheaper in appearance. To be honest, this may have been an oversight on my part when ordering. Ordered this for my son in law as he was installed to a high position in our Elks lodge. It was perfect. Purchased as a gift for my husband. Quality product. Beautiful engraving. This was perfect for what I wanted it for. A small desk gavel to remind the boss his decisions are final. 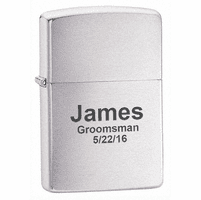 The engraving made it extra special as no one else can claim to be the boss! Servive was super fast and when I made a mistake on the engraving the company came up with an easy fix. ProsAffordable, not too heavey. Nice size. ConsIts not like the gavel used by judges in any shape or means but thats not what I was looking for. I was very impressed with the fact that this item was shipped a day after I placed my order. I bought this gavel seeking a cheaper option than the other pricey ones I had looked for on the internet. While I was not expecting much, the gavel came faster than expected, the free engraving looked magnificent, and all for an affordable price. The only downside to the purchase is that it wasn't the exact color advertised in the picture; the picture portrays a lighter brown glossy finish while the actual product is a darker brown. it came out great. I expected the gavel and band to look a little more polished. but overall it was a great buy. there was a delay in shipment, but I figured because oft he holidays. Looks great and perfect for a new judge. Very nice engraved gavel. Your customer service and speedy delivery helped to send the RIGHT message ?�‚�? even though the user is LEFT handed. ProsVery readable engraving. Easy to use online order. Excellent customer service. A gavel, as good as described. Good quality! And will be proud to pass this on to the nest leader in our organization. I was reluctant to order a gavel but it really makes the meeting go more smooth and more official! When the gavel is tapped for standing or a motion that is passed it affirms order! By SC Phi Beta Sigma Fraternity, Inc. The item is very professional looking and quality work. I will definitely be purchasing more items. Good quality, reasonably priced, easy to order, and delivered in a timely fashion. I just wish I had considered making the inscription generic so that the gavel could be passed on to future officeholders. But the personalization was nice, too. Looks great and the turnaround was fast! Great quality especially for the price. I would highly recommend. Excellent purchase. Quick delivery. High quality. Great gift. This is a very lightweight but professional looking gavel. I was able to have a good amount of engraving on the surface. Nice wood, finish and engraving. Quick shipping too. The gavel came very quickly. It has a nice heft to it...but the engraving was the high point...my dad was a jeweler and did hand engraving...I know today it is done with a machine. 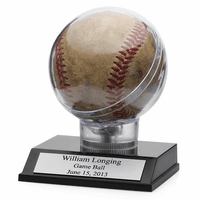 However, for the price point, the engraving was perfectly executed in my company's Olde English font with three lines and complex wording....and I will be very proud to gift my wonderful boss with this for his birthday. Well done! Our Grandson was delighted and so were we. He can't wait until he is able to pound it to call to order his meeting as President of the ASB. This gavel came quickly and well packaged in a sturdy, white cardboard box. The color is less red than the picture. It looks like "walnut with oak finish" as stated in the description and is not glossy. It's got a nice weight to it so it doesn't feel cheap. The gold band is shiny and the engraving was done well. I was impressed with everything from this company. The ordering process, follow through, quality and pricing cannot be beat! I will be back for more! I was very impressed with the quality of this product. It was a great gift idea! The perfect gift. Very fast. High quality item. This was a great gift. I went online and checked several site. Your price and quality was the best. Also shipping was quick. Thank you for doing a great job! This gavel was promptly shipped, well packaged and perfectly done. Couldn't be more pleased with the quality. This is an exceptional buy and nicer than gavels costing 3 times as much. I've ordered 2 in the last few months for friends joining the bench and had them engraved. They looked great, arrived very quickly and were well received. Definitely recommend! We were very pleased with the quality of this item, for the price. 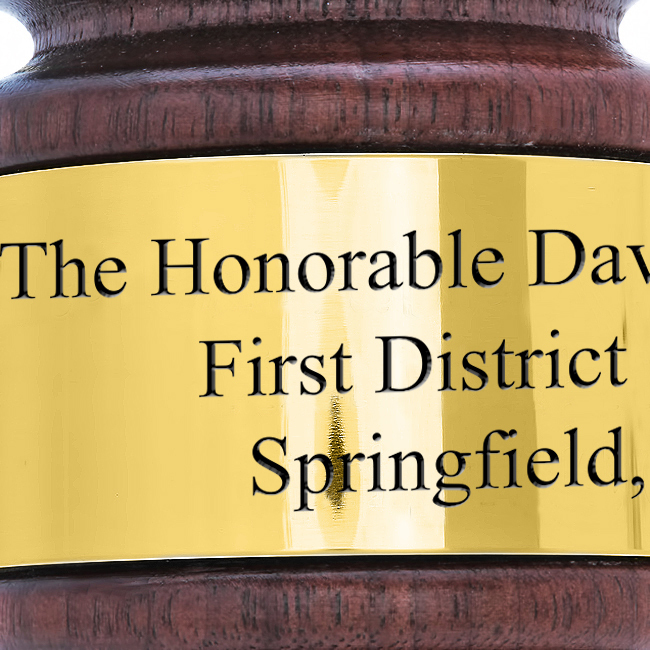 It's a nice gavel, and the engraving came out beautifully. We had it in a matter of days. Excellent service.